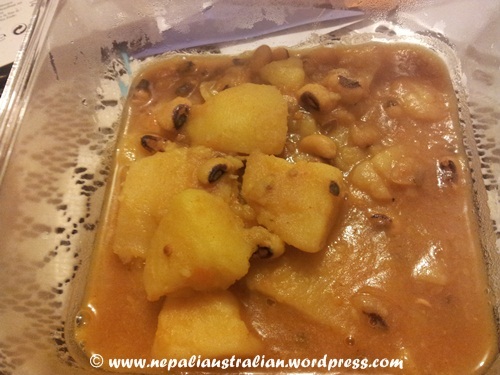 This is one of the popular dishes in Nepali/ Newari cuisine. In Newari style Bhoj (feast) you will always find this dish. 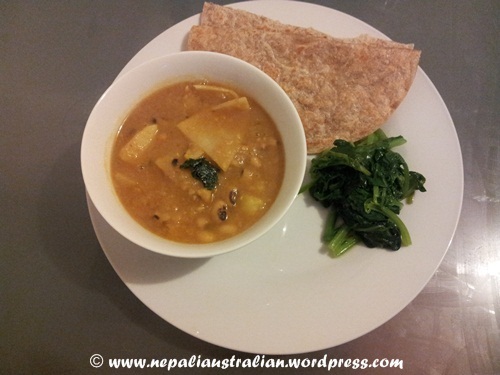 Aloo Tama is a classic Nepali soup prepared with black eyed beans, potatoes, bamboo shoots and spices. 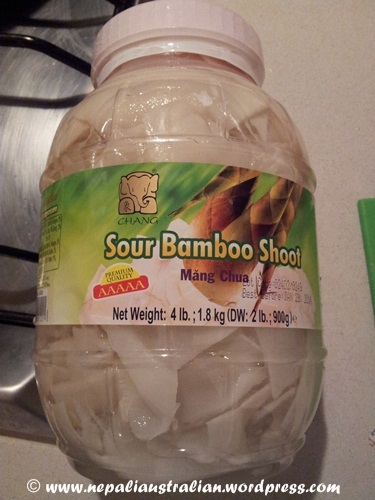 Tama is a non-fermented bamboo shoot product. Aloo tama is well-loved comfort food cooked almost in every household throughout Nepal. The enduring popularity of this dish is that, it is extremely tasty and very appetizing mainly for its slightly sour and pungent taste. 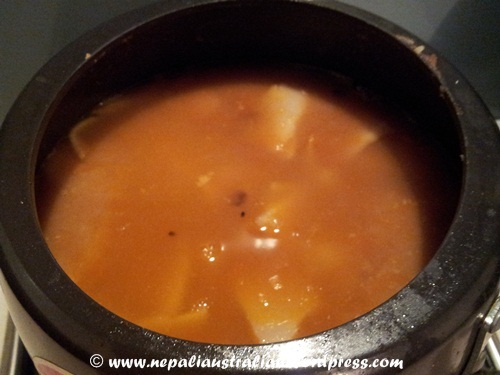 There are different way to cook this and today I am sharing my style using pressure cooker. First of all let the black eyed beans shock in water for overnight. If you forget to soak it overnight, you can soak in hot water for few hours and it will be fine. Heat oil in a pan. I used pressure cooker. Add turmeric, dry cumin seeds and red chilli and fry until it is dark. Then add garlic and ginger. 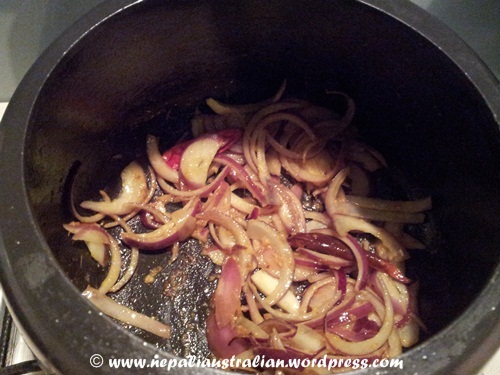 Add chopped onion and cook few minutes on low heat. Add potatoes to the onion and sauté for at least 5 minutes in medium heat. Add little water so that it doesn’t stick on the pan. Add soaked beans, tomatoes and fry for few minutes. 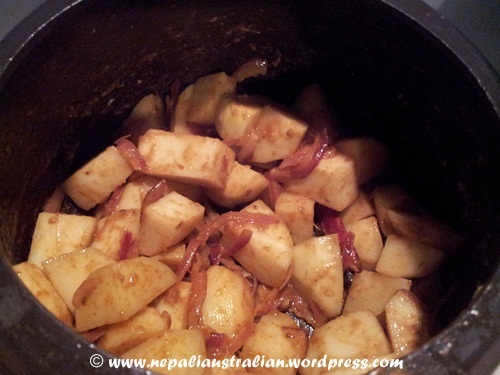 Add 2 cup of water, salt, chilli powder and cover the pressure cooker and press for 6-10 whistle or until potatoes is cooked. Take off the pressure cooker and let it cool down. Now add bamboo shoots and 1 cup water ,cover it and let it simmer for another 10 minute or until desired consistency is reached. Taste and add lemon juice as required to make it bit sour. Sever with roti or rice. 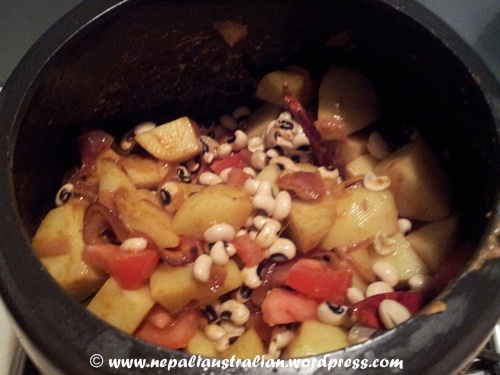 This entry was posted in Nepali food, Newari Food, Recipe and tagged black eyed beans, food, vegetarian. Bookmark the permalink. You made my day! My friends shared some of this soup with me last week and I have been thinking about it since. So wonderful! 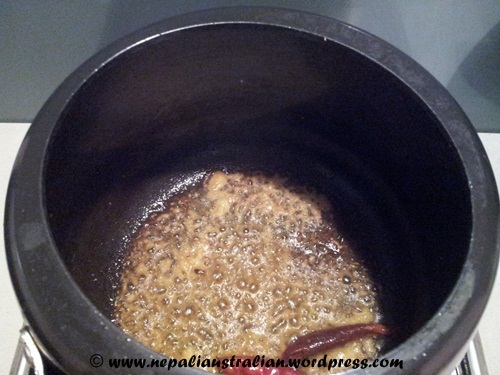 I love to cook Nepali food when I have time and this all magic recipes are the best. Thank u so much. can u please make bamboo shoots achar? 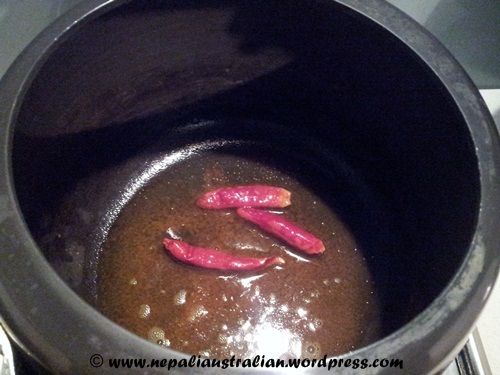 I love to cook Nepali food when I have time and this all magic recipes are the best. Thank u so much. can u please make bamboo shoots aachaar? 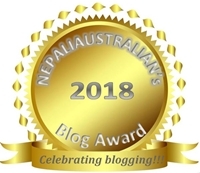 Nice affection towards nepalese foods ! Hats off ! yummy. 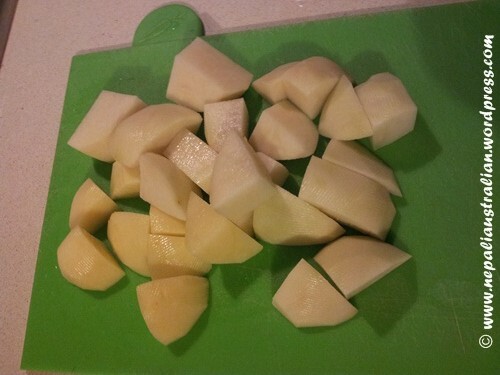 cant wait to cook Aloo Tama. 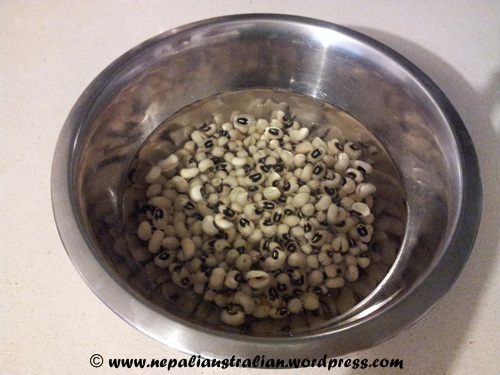 This is one of my favorite Nepali foods. 🙂 Who says Nepali cuisine is similar to Indian cuisine?